Kurt Heinzelman co-founded The Poetry Miscellany and Bat City Review. A scholar of Poetry and Poetics, with a speciality in British Romanticism, he has been nominated twice for the Pushcart Prize and was twice a finalist for the Poetry Book of the Year from the Texas Institute of Letters (The Halfway Tree and Black Butterflies). His third book, The Names They Found There, was Notable Book of the Year by Poetry International; his latest collections are Intimacies & Other Devices (2013) and Whatever You May Say (2017). He has served as Executive Curator of the Ransom Center and as Director of Education at the Blanton Museum. An Honorary Professor at Swansea University (Wales), he has been since 2005 a judge of the International Dylan Thomas Prize. Lisa Olstein is the author of four poetry collections, most recently, Late Empire (Copper Canyon Press, 2017). A book-length lyric essay, Pain Studies, is forthcoming in 2020. Her work has appeared widely in journals and anthologies, including The Nation, Boston Review, and A Public Space. 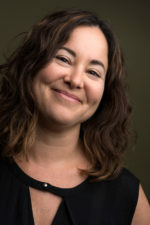 Her honors include the Hayden Carruth Award, Pushcart Prize, Lannan Writing Residency, Essay Press Chapbook Prize, and fellowships from the Sustainable Arts Foundation, Massachusetts Cultural Council, and Centrum. 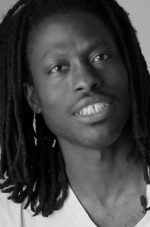 Roger Reeves is the author of the poetry collection King Me (Copper Canyon) and recipient of honors and support from the National Endowment for the Arts, the Poetry Foundation, Bread Loaf, the Provincetown Fine Arts Work Center, and Cave Canem. His poems have appeared in journals such as Poetry, Ploughshares, American Poetry Review, Boston Review, and Tin House. Kim Addonizio selected “Kletic of Walt Whitman” for the Best New Poets 2009 anthology. He earned his MFA from the Michener Center in 2010 and his PhD in English from UT’s Dept of English, and he previously taught at University of Illinois/Chicago. 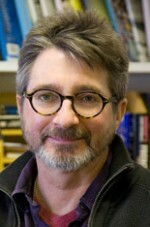 Dean Young has published a dozen books of poetry, including Elegy on Toy Piano, a finalist for the Pulitzer Prize; Primitive Mentor, a finalist for the 2009 Griffin Prize in Poetry; a book on poetics, The Art of Recklessness, Shock by Shock, and his newest collection, Solar Perplexus, will be published in 2019. 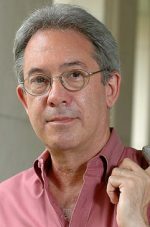 He has received fellowships from the Guggenheim and the NEA, an Academy Award in Literature from the American Academy of Arts and Letters, and was selected as Texas’s 2014 Poet Laureate. He was on the permanent faculty at the Iowa Writers’ Workshop until becoming the William Livingston Chair of Poetry with MCW and the UT Department of English/New Writers Project in 2008.